Let's think about Halloween... it's only 10 days away after all! We're nearly finished with our Halloween planning; we're just finishing up the final touches on costumes. One thing I think of when I think of Halloween (aside from costumes and candy) is all the walking the littles and I will do. Having a comfortable shoe is so important- but you also want it to go with the costume your child will be wearing. Stride Rite has some great Halloween selections. Stride Rite shoes are getting in the Halloween spirit with fun themed shoes! They are offering themed shoes around some of the season’s hottest costumes like Spider-Man, Captain America, Star Wars, Disney Princess and Minnie Mouse, and with a breadth of brands including Stride Rite, Sperry Top-Sider, Keds, Saucony and Jessica Simpson, Stride Rite has the shoe to complement any costume. We found a great shoe to compliment Luke's monkey costume this year. A little back story, our kids have HUGE feet. 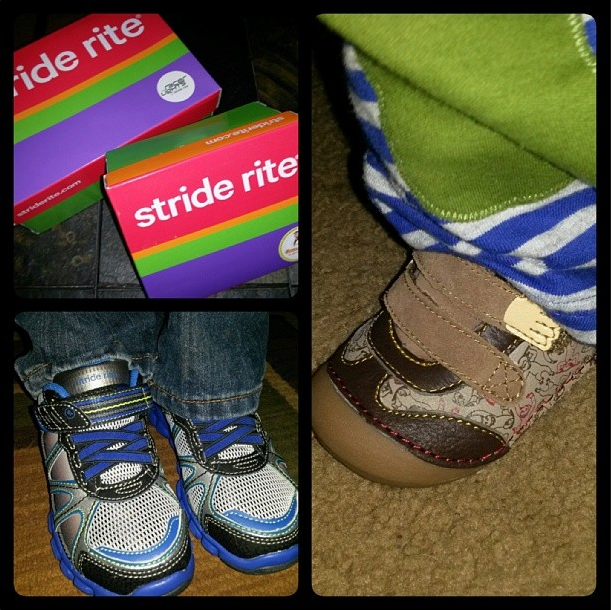 They can't wear most shoe brands, so Stride Rite has been a household favorite here for a while with their wide shoe selections. 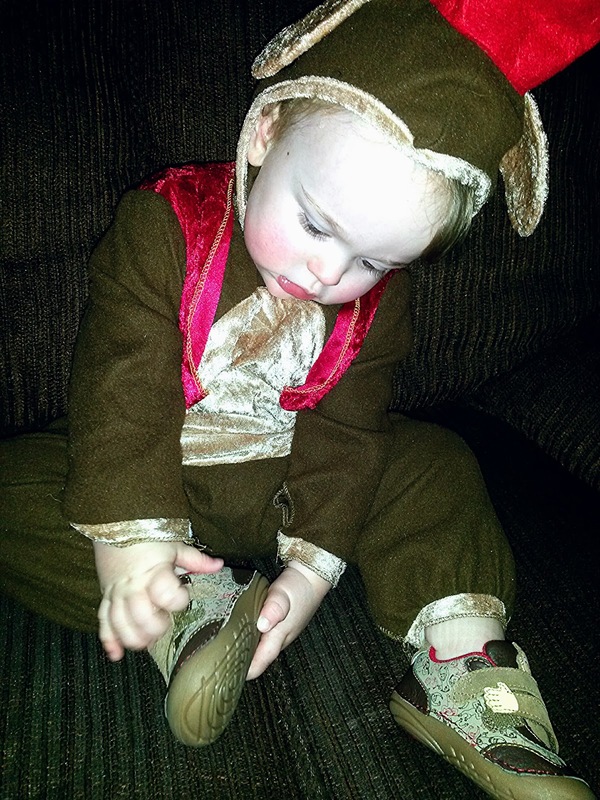 These Curious George shoes are absolutely perfect with Luke's costume. Cute, right? We love Curious George, and these shoes will look great with several other outfits that Luke has. We are also a huge fan of the SRT™ Soft Motion™ soles, which are soft and flexible and perfect for those newly walking toddlers! Racer Lights™ will help keep your little goblins visible while they look for their treats! These shoes are a huge hit with our 4 year old son. He picked them in blue. The fun lights are one of his favorite things, aside from the fact that they are his favorite color! I love that he will be seen in the dark, and I know that he is wearing very comfortable and high quality shoes. Nolyn has loved these and tells us often how much he likes wearing them. They are very lightweight very breathable. I can't say enough great things about Stride Rite shoes, and I know that they will be great for the kids this Halloween. Check out the other Halloween pairings they have available, perhaps they have the perfect finishing touch for your child's costume, too!